It’s been a few years since Lillias White & I have had the chance to do an interview together, but a Valentine’s Day concert seems like the perfect time to catch up with this Tony & Emmy Award winner because I love Lillias White so much! I’m Getting ‘Long Alright has music direction by Alvin Hough, Jr. (The Color Purple and Once On This Island) and direction by Will Nunziata (Our Guy, Cy and Kander & Ebb’s The Act). The evening will have Lillias exploring the power of self-love through soul, sass, and song. Songs include those written by Smokey Robinson, Cy Coleman, Alan & Marilyn Bergman, William Finn, Hoagy Carmichael, Betty Comden & Adolph Green, Stephen Flaherty & Lynn Ahrens, and more. Lillias returns to The Green Room 42 (570 Tenth Avenue, 4th Floor inside The Yotel) on February 14 at 7pm with this brand-new concert to celebrate the venue’s 2nd Birthday as well as this day of love! Click here for tickets! 1. This Valentine’s Day you are bringing your brand-new concert I'm Getting 'Long Alright to the Green Room 42. What are you looking forward to most about this concert? Mostly I am looking forward to seeing a full house of family, friends, and fans. I am eager to share the revelations that have come to me over this past year and sing the songs I REALLY really love. 2. The evening explores the power of self-love through soul, sass, and song. When do you fully remembering loving yourself for who you are? I think that most people have times in their life when they’re not sure how wonderful they are. And honestly, I’ve had moments when I wasn’t as sure about myself as I am at this point in my life. 3. When things get too crazy, what do you do to rejuvenate yourself? I go to the beach - either the Caribbean or right here at Coney Island. I’ll even go when there’s snow on the sand! 4. What is the sassiest thing you have done or said to someone? I told a very well-known director (to remain nameless!) that “If you want to fire me, go ahead, because I will still be able to eat filet minion and king crab legs.” He didn’t fire me, and to this day, I have filet minion and king crab legs whenever I so desire! 5. Since the concert is celebrating Valentine's Day, what's the most romantic thing you've done for someone or have had done to you on or around Valentine's Day? I never kiss and tell...but all of the men who have been my Valentine are very happy that they were. 6. The concert is being directed by Will Nunziata with whom you've worked with several times before. What is it about his artistic vision that aligns with your performance style? OMG! He gets me! He listens to me. He respects my opinion, my experience, my talent...and he is so creative. It’s easy and fun collaborating with him. Favorite goto Emoji to use in a text? Hearts! 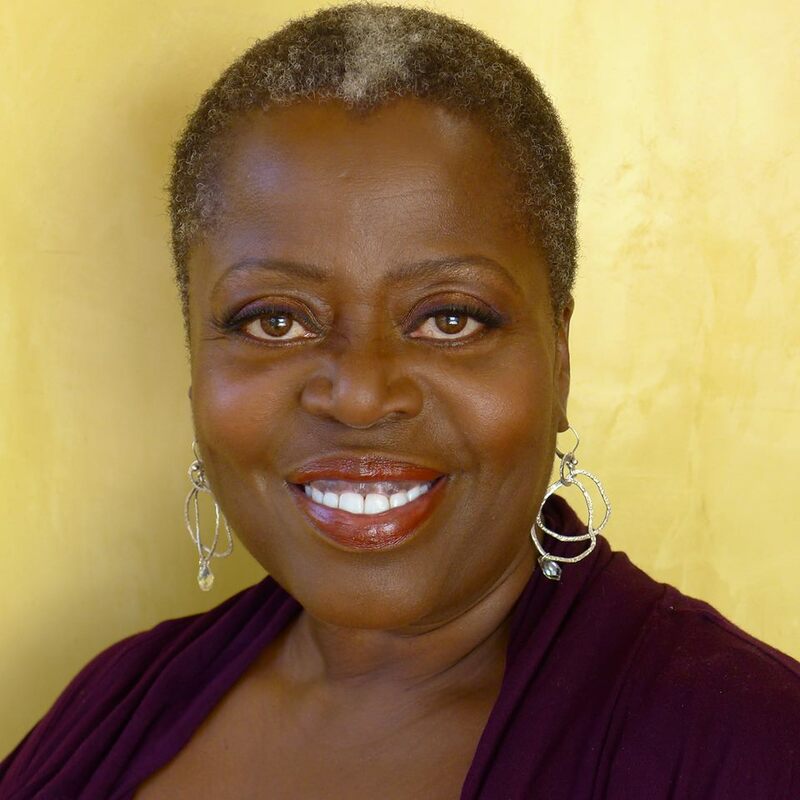 A Tony Award winner for The Life, Lillias White has been seen on Broadway in Fela!, Chicago, How to Succeed in Business…, Once on This Island, Dreamgirls, and Barnum, among others. Lillias is also known for voicing “Calliope” on the Disney animated series Hercules, portraying “Evette” in the film Pieces of April, and for her work as “Fat Annie” (Cadillac's mother) in the Netflix series The Get Down. She has also starred as “Bloody Mary” in Rodgers and Hammerstein's South Pacific on PBS' Great Performances with Reba McEntire and in the PBS documentary In Performance at the White House. She is also an active cabaret singer and has appeared in concert with the Boston Pops Orchestra, the Brooklyn Philharmonic, and at Carnegie Hall.